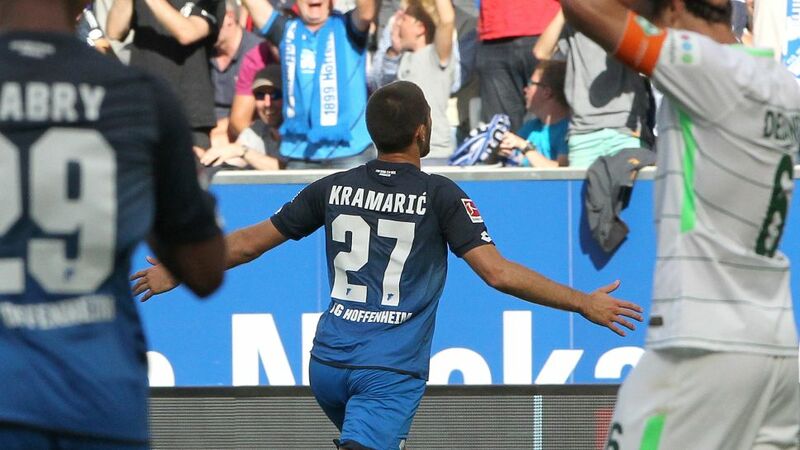 Hoffenheim snatched a late win from a keenly-contested clash with Werder Bremen. Substitute Andrej Kramaric's late deflected effort earned Hoffenheim the points as their persistence paid off with a 1-0 win over Werder Bremen. Kerem Demirbay scuppered an early opportunity for Hoffenheim, who already had 90 competitive minutes in their legs from their midweek UEFA Champions League tie with Liverpool. Demirbay went even closer at a similar stage of the second half with his shot bouncing down off the underside of the crossbar and onto – but not over – the line. Serge Gnabry was sent on to give more verve to the Hoffenheim attack, and it was Julian Nagelsmann's other substitute Kramaric whose deflected shot earned the points late on. Watch: Kramaric: "Must repeat last season!" Hoffenheim now have a positive record on Matchday 1 (W4, D3, L3) and have never lost at home.Bremen have failed to win their last four openers, including heavy losses in the previous two (3-0 vs. Schalke, 6-0 vs. Bayern).Julian Nagelsmann has lost just nine times in 49 Bundesliga matches with Hoffenheim. Only four coaches to reach that number of games have a better record – all former Bayern bosses.Hoffenheim scored a league-high 13 goals from substitutes last season. They already have one this term.Forty-three goals have been scored in the last 11 meetings between these sides (just under 4 per game).Andrej Kramaric has six goals from his ten substitute appearances in the Bundesliga.